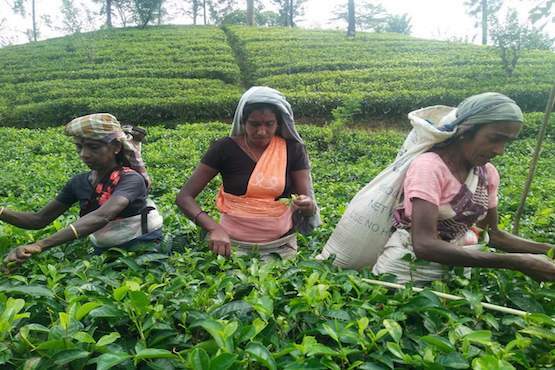 Civil society organizations and relatives of tea workers including nuns have called on Sri Lanka's government to increase the daily basic wage for pickers. 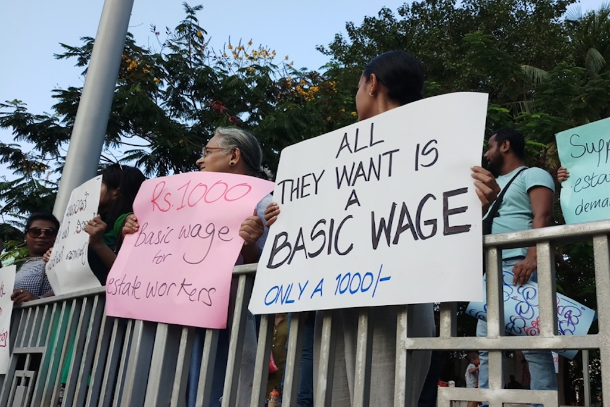 They demonstrated holding slogans demanding that the minimum wage be doubled to 1,000 rupees (US$5.50) for a full day of work. Sister Helen Lambert, a Salvatorian nun and rights activist who joined protesters, said women tea pickers often work long hours with little access to health and safety protection but factory owners are not concerned about workers' welfare. "The government should get involved to increase the daily basic wage to 1,000 rupees for tea workers. 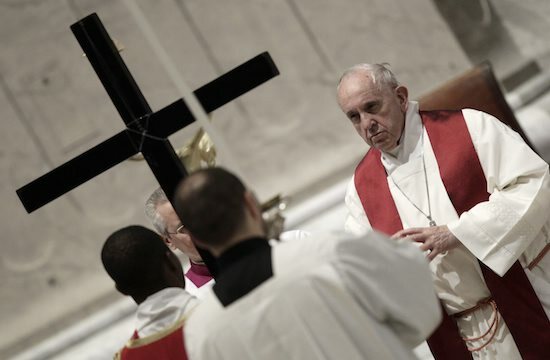 Their wages are the lowest in the country and families are often below the poverty level," said the nun, who has helped to educate children of tea workers. 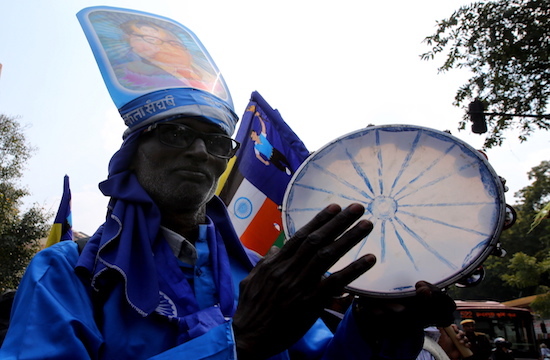 Sister Lambert and other activists protested in Colombo on Thai Pongal day on Jan. 15. "As daily drinkers of tea, we must stand up for the rights of tea workers and support their immediate struggle for a living wage and humane working conditions," she said. Thai Pongal is a Tamil and Hindu festival to give thanks to the Sun God for the abundant harvest. Tea workers' salaries are revised once every two years by factory owners. They were previously increased by 50 rupees in 2016. The workers are almost all Tamil and descended from those the British brought to Sri Lanka from India in the 1820s to provide cheap labor on tea estates. More than 50 percent of tea plantation workers are women. The tea pluckers live on estates in rows of 400-square-foot rooms. 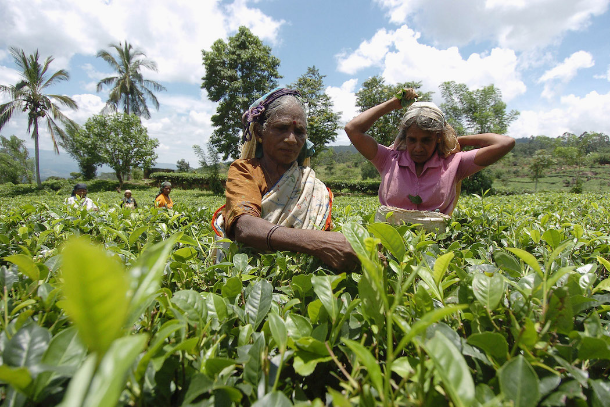 Sri Lanka is the world's second-largest exporter of tea, which is one of its main foreign exchange earners, but landless tea workers are the poorest community in Sri Lanka. Most of the tea produced in Sri Lanka is exported. The country accounts for close to 20 percent of global tea exports. 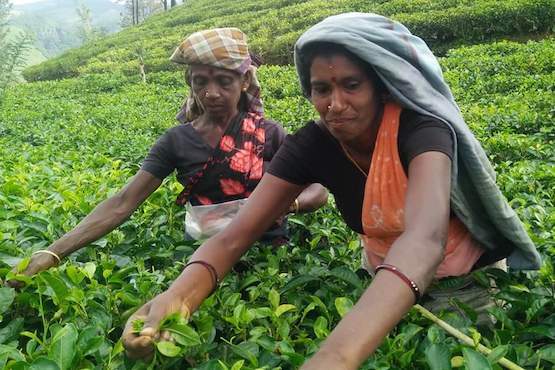 Sivagurunathan, a member of the Movement for the Defense of Democratic Rights, said tea workers are isolated from the rest of the country as a disadvantaged community and depend on their employers. He called for more transparent and timely collective bargaining in terms of negotiation and agreement, including translating and publicizing the full agreement in Tamil and Sinhala. "Tea workers' land and house ownership and access to water and sanitation are abysmally low compared to national averages," he said. Negotiations between companies and tea workers have been deadlocked since October, with companies refusing to accede to workers' demand of 1,000 rupees as a basic salary. Companies say they can only afford 600 rupees per day. K. Selvarani, a tea plucker from Nuwara Eliya, said tea companies and government have been making millions every year but workers still live an inhumane life. "Politicians come and lie during election times to create a better future if we cast votes in favor of them," said 43-year-old Selvarani. "Our children migrate to cities in search of work as the companies pay poor salaries to work eight hours."